For years Geraint Thomas appeared blessed with extraordinary talent but jinxed at the greatest bike race in the world: twice an Olympic gold medallist on the track, Commonwealth champion, yet at the Tour de France a victim of crashes, bad luck and his willingness to sacrifice himself for his teammates. 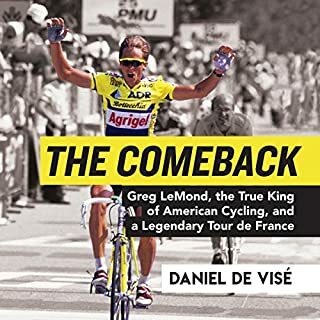 In the summer of 2018, that curse was blown away in spectacular fashion - from the cobbles of the north and the iconic mountain climbs of the Alps to the brutal slopes of the Pyrenees and, finally, the Champs-Elysees in Paris. As a boy, G had run home from school on summer afternoons to watch the Tour on television. This July, across 21 stages and three weeks, and under constant attack from his rivals, he made the race his own. With insight from the key characters around Geraint, this is the inside story of one of the most thrilling and heartwarming tales in sport. So we’ll done everyone cause I love cycling but Gerraint has never captivated me as Froome or Nibali, Sagan or even Simon Yates. He is still a brilliant athlete and his story in this book is the best I’ve ever read. 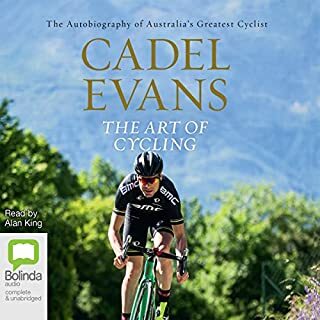 Miles better than the efforts of Froome or Wiggins and miles miles more engaging than Cadel Evans’ book or Chris Boardman’s. There is something genuine about the description of what went on during the Tour, there is very little on useless things that happened when he was a kid (as often happens in biographies). This book is a traight to the race and the drama and delivers on what the title of the book is selling. 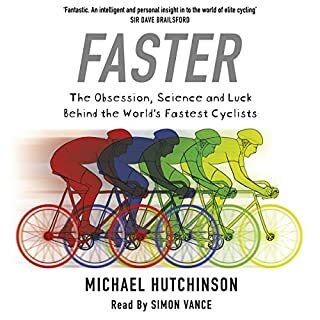 I have already read it twice and the audiobook is fantastic- the reader is a voice-a-like in the same way Wiggins and Froome’s books were read. The reader is excellent and really gives a sense of Geraint. I was very impressed. Absolute 10 out of 10, I kind of wanted Dumolain to win but Thomas showed that hard work beats everything. 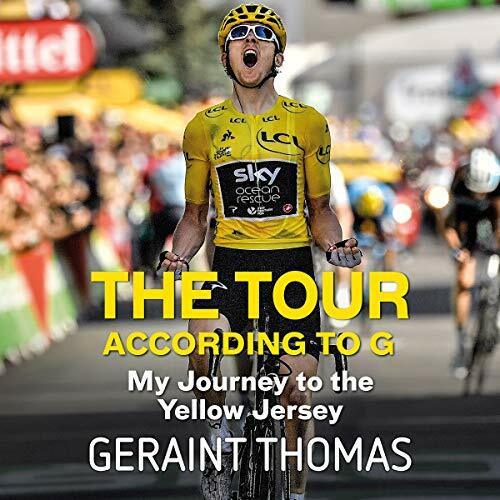 A great account of a truly brilliant achievement by Geraint Thomas. I loved this book but it was slightly spoiled by the narrators odd tempo and emphasis on the wrong words. didn't like the guest narrators voices. the writing wasn't quite as funny as his first book. Punchy book, makes you feel like you are having a catch-up with Geraint over a beer with him telling you what it was like. 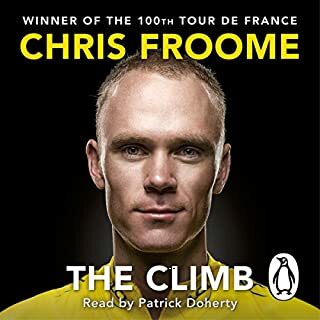 loved it , a gripping perspective from inside the TDF winners head. 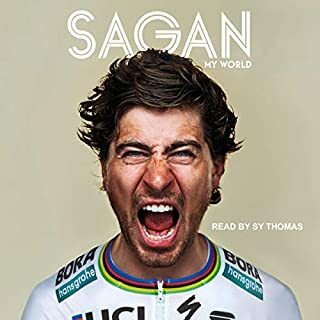 Welsh cycling legend Ger lets us know what it's like to be the best in the world , amazingly modest and all round good guy. Seems like it was put together quickly to make the most of the tdf win. Very basic, without a lot of in depth detail. I stuck with this book because it was something I was interested about, but it seems as though it was pushed through...strike now while Geraint is in the headlines. Nothing wrong with that but it lacked a little depth to the story, I'm sure it must have been put together in a couple days. Another problem was the narrator he had no personality in his voice & if the book hadn't been about a subject I like I would have found it very difficult to finish it. Shame really because what Geraint won he deserves a better book. Interesting insight into the 2018 Tour and the dynamics between G, team sky and Chris Froome. 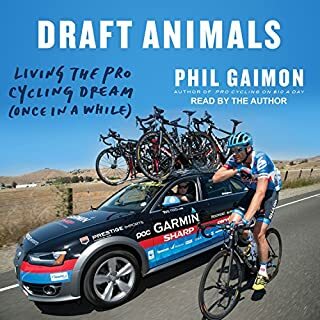 Worth a read if you follow the Tour and cycling. This book is a really good listen a window in to G’s journey from his early days to the grand stage of all . A behind the scenes look at how a pro cycling team operates from training to the win. A lovely view from the other side of the coin being Sara point of view on it all. Also a good mix of funny stories and one that make you Wince. Great to hear the story in his own words and even better to hear the emotions of those who went along the journey with him. A good listen being an avid cyclists it brought the tour closer than ever before! KUDOS to Froome for being a gentleman OBE to G!